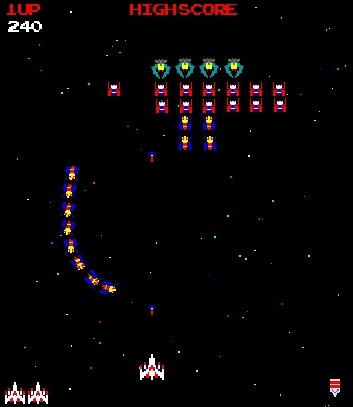 Description Galaga was released by Namco in 1981 (and also licensed to Midway). It was one of the most popular arcade games and is still sought after now by collectors. Controls To play Galaga, use your space bar as the start/enter button and also to shoot the alien spacecrafts as you play this Galaga game for free. The arrow pad on the bottom right of your keyboard will maneuver your vehicle in your battle.